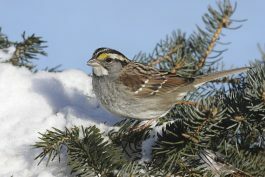 Winter is a perfect time for birding. Join our naturalist and learn to identify Connecticut’s birds by sight and sound. Discover bird feeding habits, ways to attract birds to your feeder and what seed to use. Learn how to identify birds by sight and sound. For ages 12 and up.